Japanese knotweed was introduced into Britain in the 19th century as an ornamental plant. Over time it has become widespread in a range of habitats including roadsides, railway embankments, riverbanks and derelict buildings. The invasive root system and strong growth can out-compete native plants and animals, damage foundations, buildings, roads, paths, retaining walls and architectural sites. It can also reduce the capacity of channels in flood defences to carry water. Native Landscapes have provided Japanese knotweed control and eradication services for over 20 years and conform to all current legislation and guidelines. We can assist with the sale or purchase of properties containing Japanese knotweed by providing insurance backed warranties. Removal is the most expensive way to eradicate Japanese Knotweed however in some cases there are no other options. 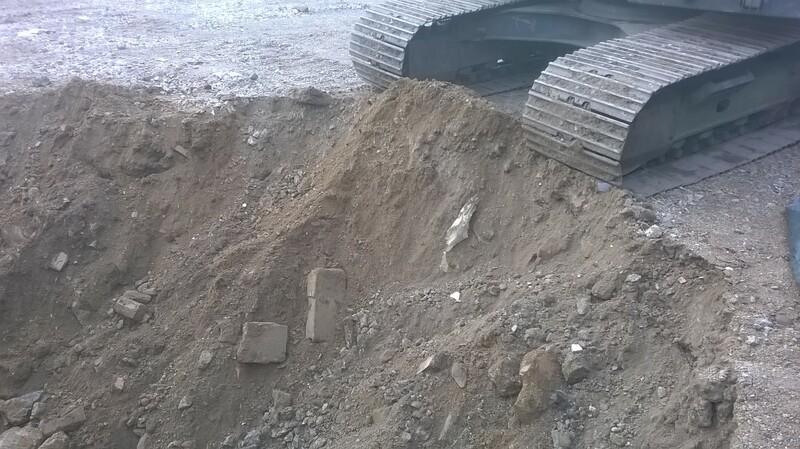 Contaminated soil and plant material are classed as hazardous waste when being transported from site and must be disposed of in an authorised landfill. Native Landscapes can provide additional resources on site to help reduce the amount of material going to landfill by up to 50%. Native Landscapes can supply machinery, equipment, transportation and certified disposal of all hazardous waste therefore offering our clients a complete service. Site monitoring should be carried out for two years following operations to ensure eradication has been achieved. On site burial of material containing Japanese knotweed may be possible on some sites. 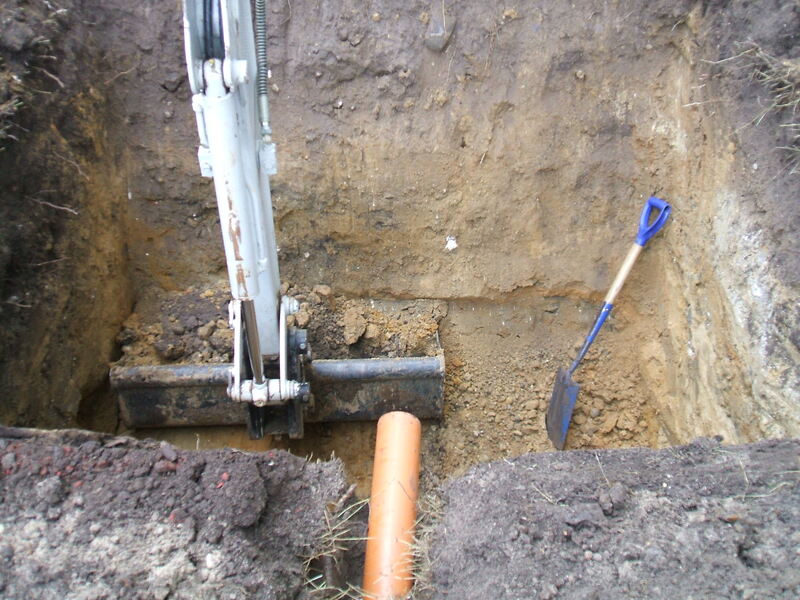 This method requires the excavation of a pit at least 7 metres deep. The material containing Japanese knotweed is then removed, transported to the pit and covered with at least 5 metres of with clean material. Site monitoring should be carried out for two years following operations to ensure eradication has been achieved. Contained burial of material containing Japanese knotweed can be a fairly cost effective method of eradication. This method requires the excavation of a “Containment” which is then lined with a reinforced geotextile membrane. The material containing Japanese knotweed is then removed and transported to the “Containment” which is then covered with geotextile membrane and sealed shut. Clean soil is then placed on top of the “Containment” to a depth of 2 metres. This procedure is ideal for areas that are not intended for construction. Previous operations have seen gardens, parks and car parks constructed on top of the containment. Site monitoring should be carried out for two years following operations to ensure eradication has been achieved. 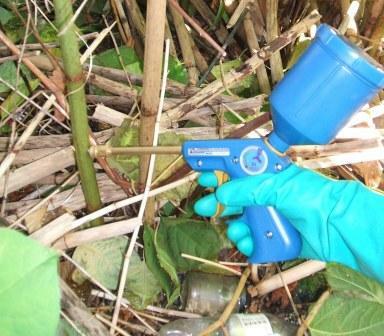 During the first year of treatment herbicide would be applied to the leaves of Japanese knotweed by spraying and into the stem of each plant by stem injection. Specialist tools are used to inject a controlled quantity of herbicide into the hollow stems of plants. The application of herbicide by stem injection along with a foliar treatment is carried out in the autumn. Follow up treatments would be carried out during the second and third year. Site monitoring should be carried out during the fourth and fifth year to ensure eradication has been achieved. Previous contracts have shown the combined herbicide treatment method is the cost effective and environmentally sensitive solution. Contaminated soil can be excavated from the affected area and transported to a suitable area on the site where it can be stockpiled on a reinforced geotextile membrane. 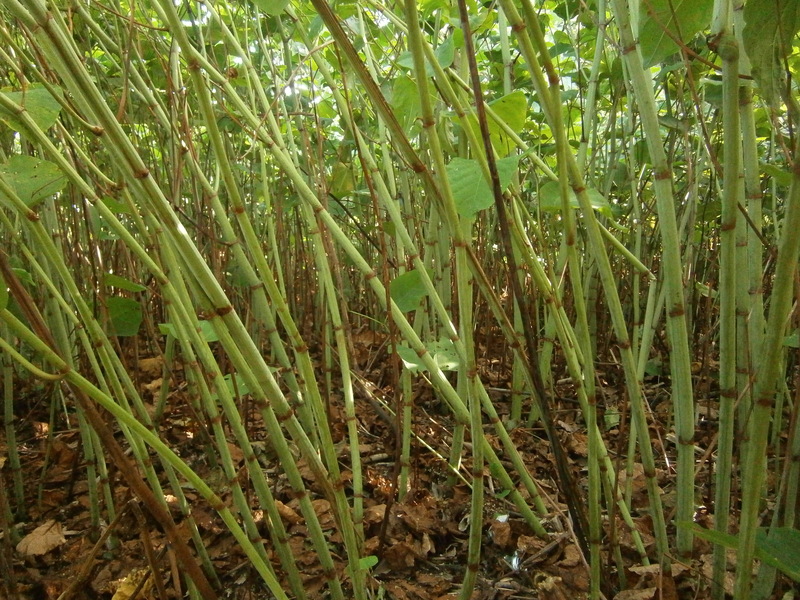 The Japanese knotweed can then be allowed to grow naturally and treated with herbicide until no more growth occurs. Site monitoring should be carried out for two years following operations to ensure eradication has been achieved.